When you get a toothache, you might hold back from going to your dentist in Enfield because you’re afraid you need a root canal. Sadly, this treatment has a bad reputation that it doesn’t deserve. In fact, it could relieve your pain, save your teeth, and get your smile back in its best shape. The term “root canal” is often used to refer to a specific dental procedure, but the truest meaning of the term applies to part of your tooth’s anatomy. 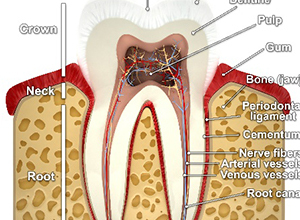 It is the pulp-filled cavity in the root of your tooth, which contains the tooth’s nerve. First, your dentist numbs the tooth. You may also be sedated. You shouldn’t feel any pain during the procedure. Your dentist will create a tiny hole in the tooth in order to access its pulp. Then, using specialized tools, they’ll clean out the infected area and remove the nerve that was causing you pain. After your tooth is cleaned out, the dentist will fill it with a special material. Then we’ll close up the hole in your tooth. In most cases, we’ll have to place a crown after a root canal in order to protect the weakened tooth against further damage. 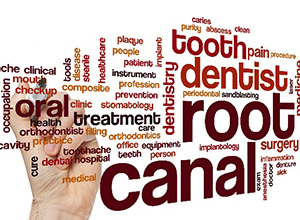 A root canal may take one or two visits to your “dentist near me” in Enfield. The exact steps involved in your procedure will depend on the extent of the damage to the tooth. What Symptoms Mean You Might Need a Root Canal? A tooth that is significantly darker than the ones around it. Severe pain when you eat or apply pressure to a particular tooth. Extreme sensitivity to hot or cold, even after the source of the temperature change has been removed from the tooth. A pimple-like bump on your gums near the tooth that is in pain. Tenderness or swelling on the gums. These symptoms are most often the result of decay or infection, tooth trauma can also lead to the need for root canal therapy. It’s also worth keeping in mind that some people may need a root canal even though there are no symptoms; the only way to know for sure if this treatment is right for you is to visit your dentist. 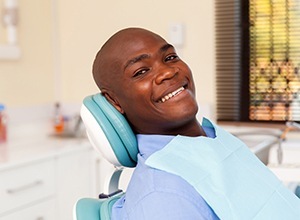 Perhaps the biggest benefit of root canal therapy is that it may save a tooth from extraction. While some people believe that extractions are better than root canals because they usually cost less and are simpler, it is always better to try to save a tooth. Keeping all of your natural pearly whites in place will preserve your oral health and spare you from an expensive tooth replacement procedure later on. 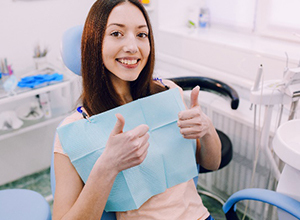 Root canal therapy has aesthetic benefits as well; the crown that gets placed after the procedure may be made of porcelain so it blends seamlessly with the rest of your smile — that’s better than having a gap in your mouth, right?